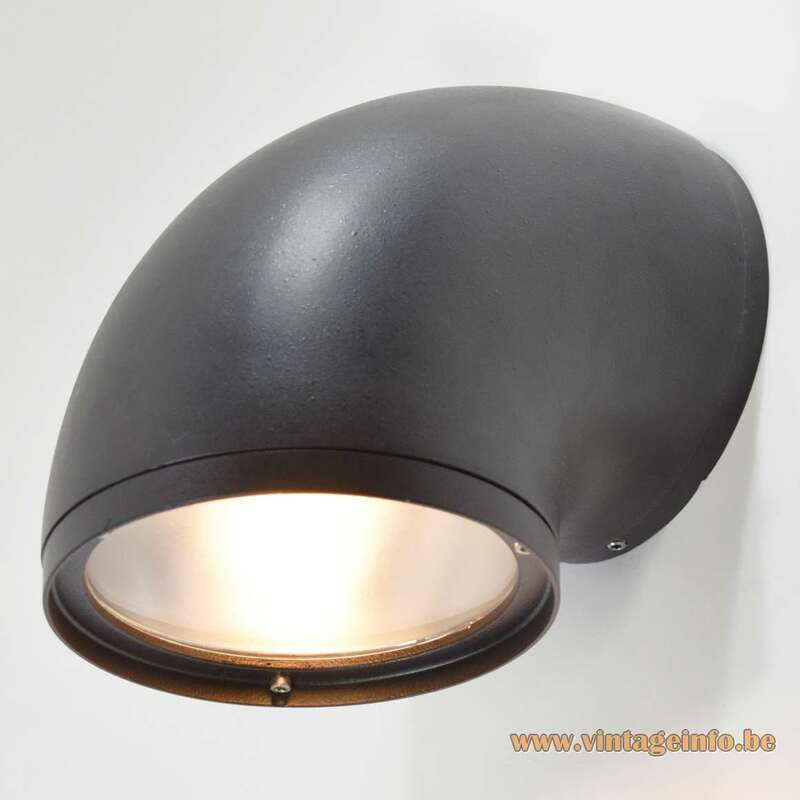 Materials: Black/anthracite painted aluminium alloy, painted with some wrinkle paint. Aluminium reflector. Clear glass. Porcelain socket. Designer: The BEGA design team. 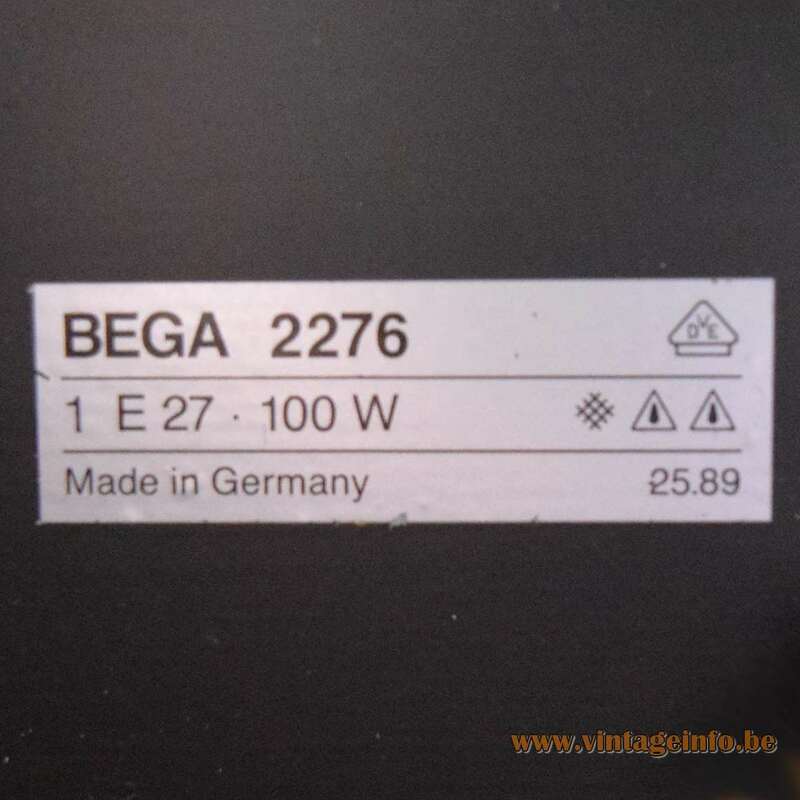 Manufacturer: BEGA Gantenbrink-Leuchten, Menden, Germany. 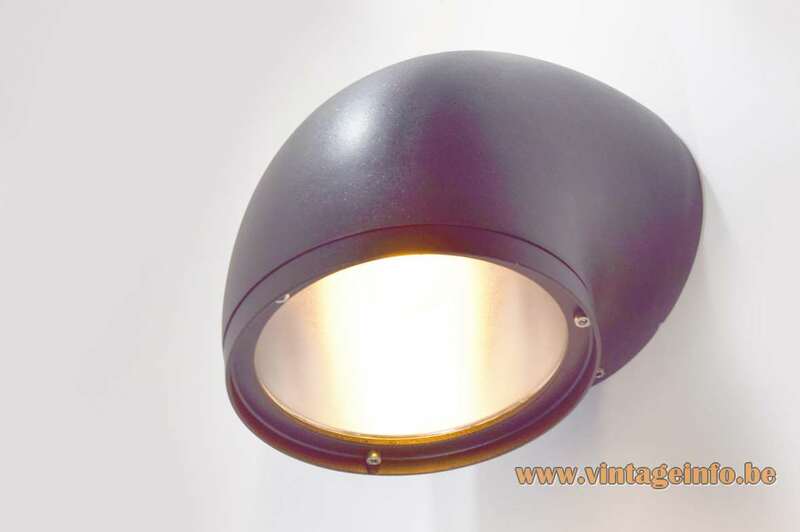 Other versions: This outdoor or garden lamp is model 2276. It won an iF Design Award in 1983. 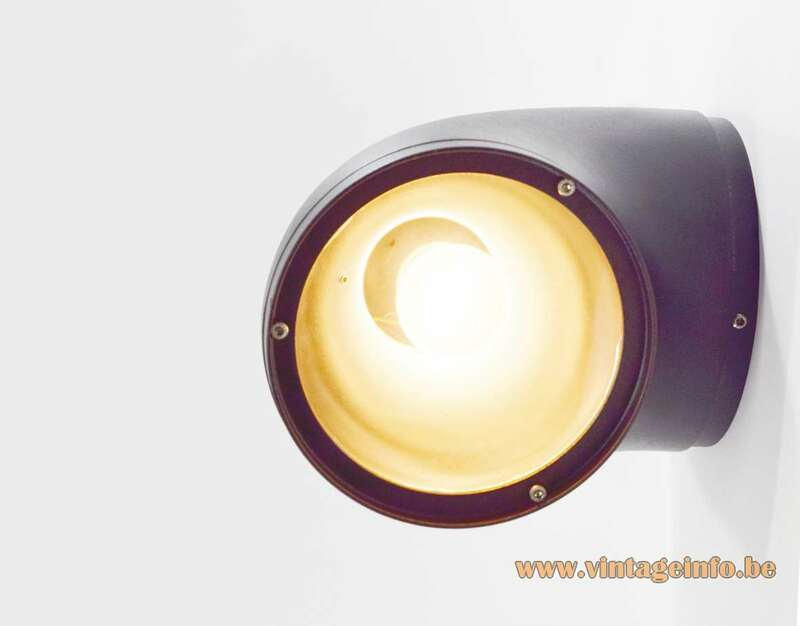 This wall lamp can be used inside or outside (IP 55). 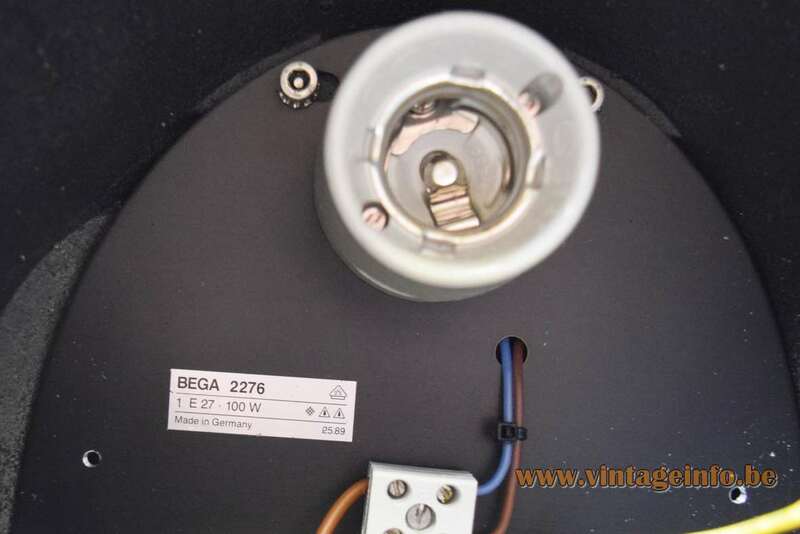 The BEGA company was founded in September 1945, at the end of the Second World War and started as a small business with 5 employees. BEGA received the “Medaille d’Or” at the international trade fair in Luxembourg in 1952. In 1958, BEGA construct the new multi-storey luminaire block with a few other companies at the largest industrial fair in the world in Hanover: an important and courageous step which finally leads to the “World Light Show“. The complete history of the BEGA company can be found on their website. 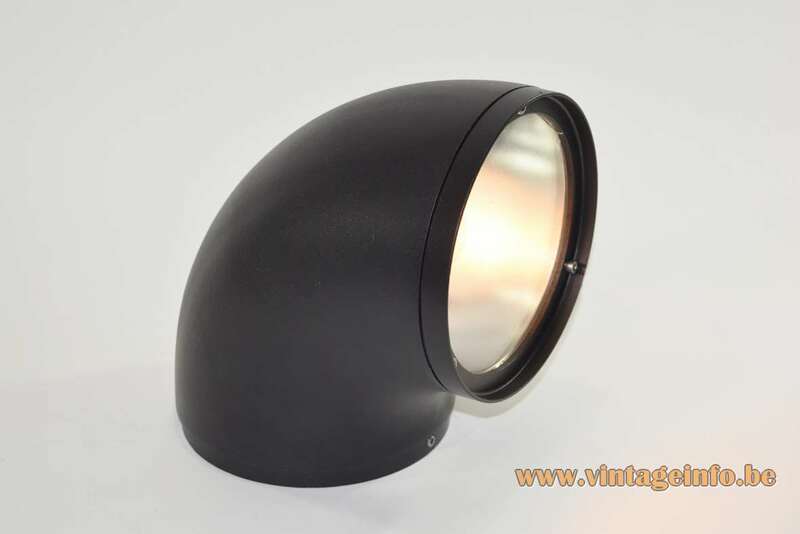 The company still exists and they make beautiful (industrial) lighting. Glashütte Limburg is a member of the BEGA group. 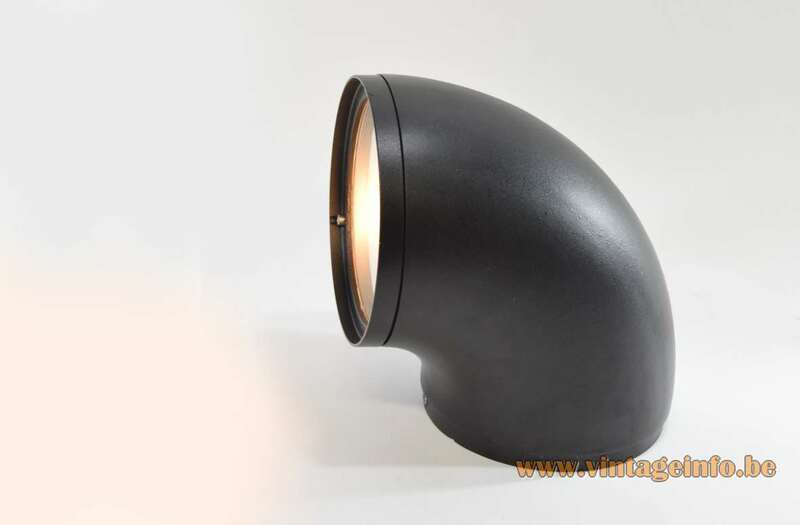 BEGA received 275 iF Design Awards. You can find them over here on the iF Design website. Glashütte Limburg was founded in 1946. The name Glashütte Limburg is no longer in use since 2017. One of the best known designers for Glashütte Limburg was Helena Tynell who created several amber bubble glass lamps for the company. They were made in many forms and sizes. Helena Tynell lived from 1918 until 2016. She was married to the famous designer Paavo Tynell (1890-1973). 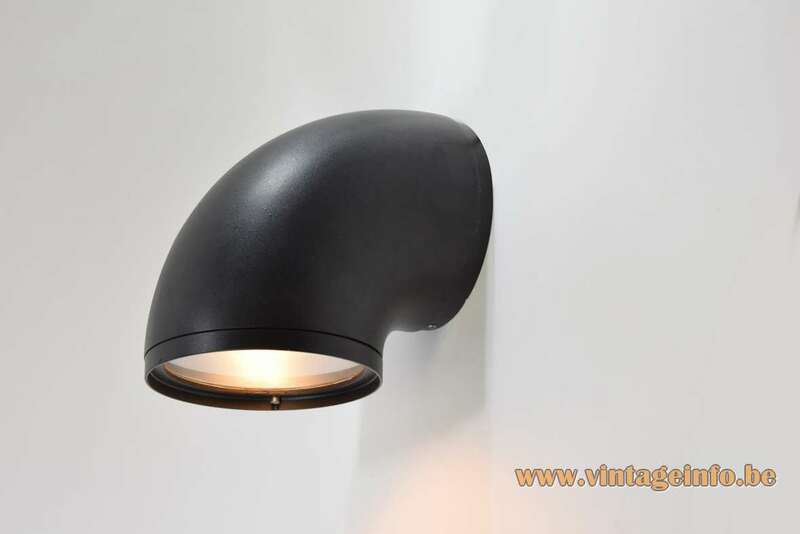 This wall lamp has many similarities with the A19 lamp, designed in the 60s by Alain Richard and produced by Disderot.